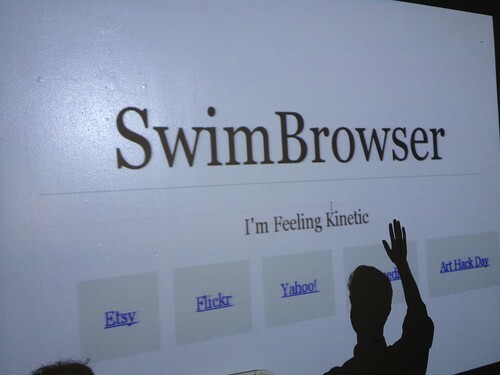 SwimBrowser is a web browser that gives you a serious back workout. To click a link, pull yourself towards it with the breast stroke! To go back, do the reverse breaststroke. This is not surfing the web. This is swimming the web. Powered by Kinect and OpenNI. SwimBrowser from David Stolarsky on Vimeo.